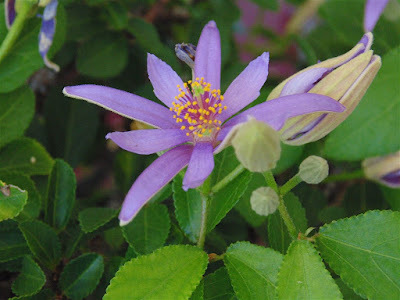 This is the Lavender Star Flower Bonsai (grewia occidentalis). Its hard to see the lavender in this photo so below is a close up view of one of the flower on the plant. 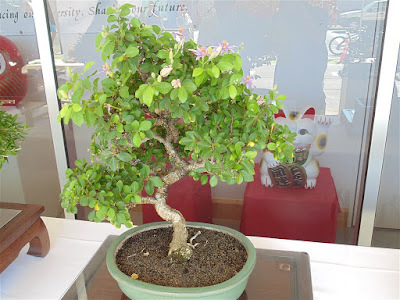 This is also done in the informal upright style of bonsai and presented by the Classic Bonsai Club. The plant is native to South Africa and has beautiful star shaped flowers. Next up is the Kaneshiro Banyan Bonsai (Ficus microcarpa, var. kaneshiro). 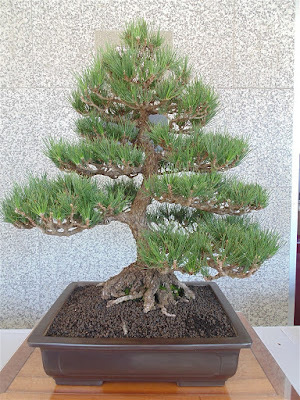 This is also presented by the Classic Bonsai Club and is done in the “umbrella style”. This planet is also known as the Chinese Banyan or the Taiwan Banyan or the Malayan Banyan. It is native in the range from Sri Lanka to India, Taiwan, Malay, Australia and New Caledonia. It is mainly cultivates as an ornamental tree in gardens, parks and also as bonsai. One of the displays at the JCCH New Year’s Ohana Festival was a collection of Bonsai plants. One of my favorites there was this Japanese Black Pine Bonsai (Pinus thunbergii) presented by the Classic Bonsai Club. 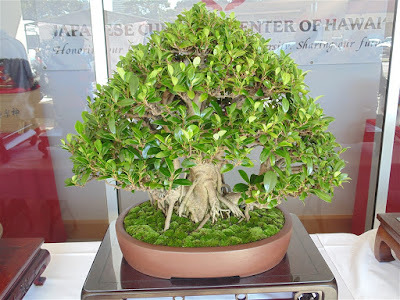 This is done in the Informal Upright style of Bonsai. This pine is native to the coastal areas of Japan in the Kyushu, Shikoku and Honshu area. It can reach heights of 40 meters in the wild. It takes an expert touch and many years to grow and shape one like this.